Specifically, his first theory was that you were the killer trapped in an eternal purgatory of being haunted by your victims, which seems to be exactly the plot of Ultimate Custom Night. I think the main difference was, in the theory video, the hell was self inflicted. Though even then that might fit the "The player is still Michael" theory. Seems I'm posting at another odd time, but Scott made a post after all! It's not addressing the chat mishap, but he acknowledged Dawko and DJ Sterf's efforts, and fully expects others to clear 50/20 mode. And, he wrote that he's content with the game as it is. EDIT: Dawko has cleared 50/20! He's bound to have a lot of good questions for Scott in the interview. Dawko's got his versions of the "who are you playing as" theories up. He's done it in two parts, one which explains why it's possibly William, and another why it's possibly Michael. On the subject of theories, while doing some editing on Five Nights at Freddy's: The Fourth Closet, I had a thought about the book canon vs the game canon I thought might make a plausible theory or WMG. Caveat, I have only read the first book (my editing on Fourth Closet was mostly cleanup and policy stuff like indentation and spoiler tagging), but one thing that always stuck about to me on the first book is that when confronted, William Afton says he was the business half of Fazbear's Family Diner, while Henry was the idea man, the one who made the animatronics possible. However, in the games, it seems to be the reverse. Sister Location implies Afton made the animatronics, between that opening dialogue, and the fact that the Funtime Animatronics were explicitly designed with child-kidnapping devices, it suggests that he was, at minimum, Henry's equal. Meanwhile, Pizzeria Simulator has you, on Henry's behalf, running a Pizzeria Tycoon-style. Odd confession about the voices in Ultimate Custom Night: It seems like most people are saying that the Nightmare animatronics have the scariest voices. 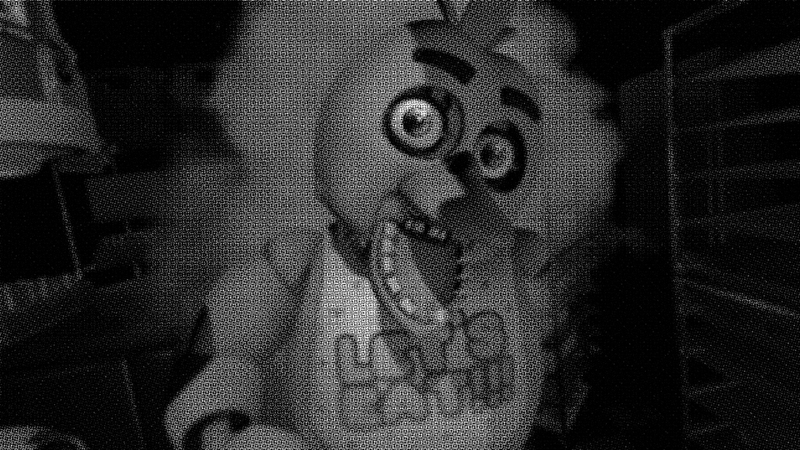 But to me, the scariest is Withered Chica. Perhaps her voice could be considered less scary if you just imagine it as someone talking into a fan, but still... something about her voice just does a really good job of capturing the idea of "old, broken animatronic that wants to kill you." It's really unsettling to me. MatPat's take on the "William Afton is in Hell" theory and on just who "The One You Should Not Have Killed" is meant to be. 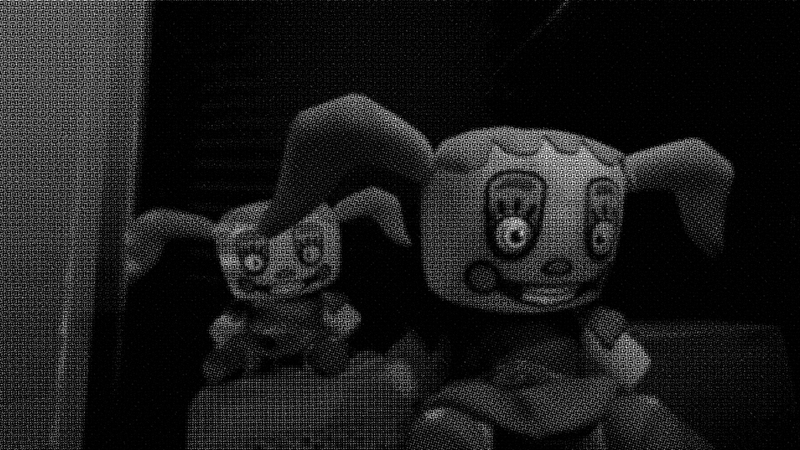 The first half of a new timeline based on Ultimate Custom Night and Five Nights at Freddy's: The Fourth Closet, one detail he's changed from past theories I find interesting is he's going with the idea that "Fredbear's Family Diner" was the sister location and where the Bite of '83 occurred and was open concurrently with Circus Baby's Pizza World. The second half of the timeline theory (link starts after the merch ad), which mostly focuses on a proper overall timeline and how The Reveal regarding Charlie in The Fourth Closet's continuity is basically what happened with Michael Afton in the game continuity. It really does seem as if the biggest difference between the game and book continuities is which of the two, Henry or Afton, is the actual robotics expert. The specifics of everything that happens after seems to stem directly from that fact. Surprised no one ever discussed the Scott Cawthon interview here. FNAF's coming to the Switch. Weeell, Scott hasn't confirmed that it's coming to the Switch. Just that it's coming to a console. Apparently that FNAFTALE project that got bullied out of existence came back. Not actually sure if it's the same one. There also seems to be a full fan game of FNAF World with the twist of letting you play as the "bad guys." "This is a VR puzzle/horror game in which players assume the role of a repair person tasked with monitoring/repairing animatronic characters at a pizzeria. From a first-person perspective, players explore dark hallways, complete puzzles, and try to avoid menacing, malfunctioning animatronic figures. The game contains frequent screams and jump scares, with the words “You Are Dead” appearing on screen after players are attacked." Sounds like the free-roaming FNAF game we've always wanted, a pity it'll be VR exclusive. No word if its coming to other VR platforms like Oculus Rift or Vive. So, pretty much Sister Location VR? Nice. I think Anfton pull the kinap device and the remanent behind henry back, which explain some stuffbut overall, henry seen to be more of the inventor. New teaser (was) on Scottgames. It was a picture of Freddy, Foxy, Bonnie, Funtime Foxy, and Spring Bonnie fused together with the caption "Everything is working as intended! - Fazbear Entertainment." It was taken down shortly after with an apology by Scott , turns out the artist he hired had potentially traced fan art of Spring Bonnie for the picture. Following that, on the FNaF reddit people found there were in fact seven additional images hidden the website's source code. 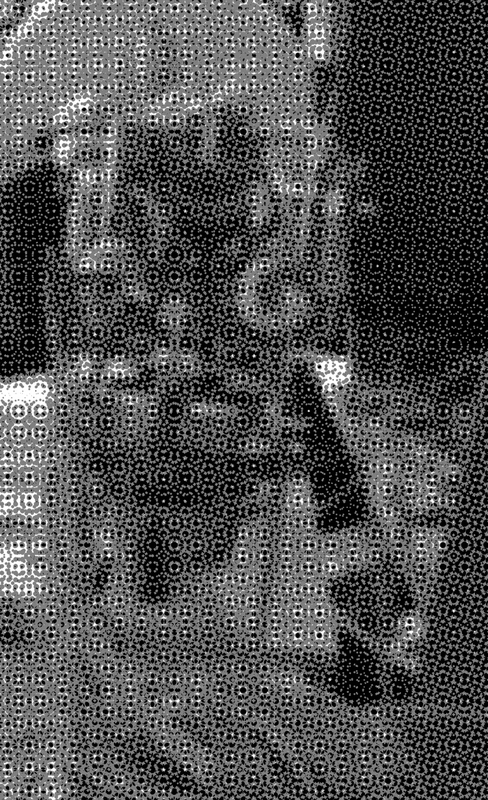 All are in black and white with a fuzzy VHS tape filter and look to come from fully 3D environments and character models rather than the pre-rendered backgrounds of past games. The first is of the bedroom from ◊ FNaF 4. Except Baby is standing over the child's bed. She's turned her head back to stare directly at the viewer, who is looking out from the closet. 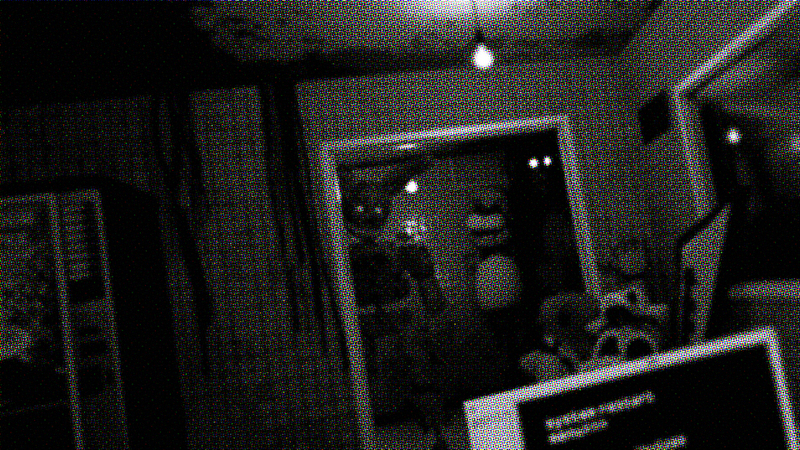 The second image is the office of Fazbear's Fright, but from a new angle revealing a vending machine. 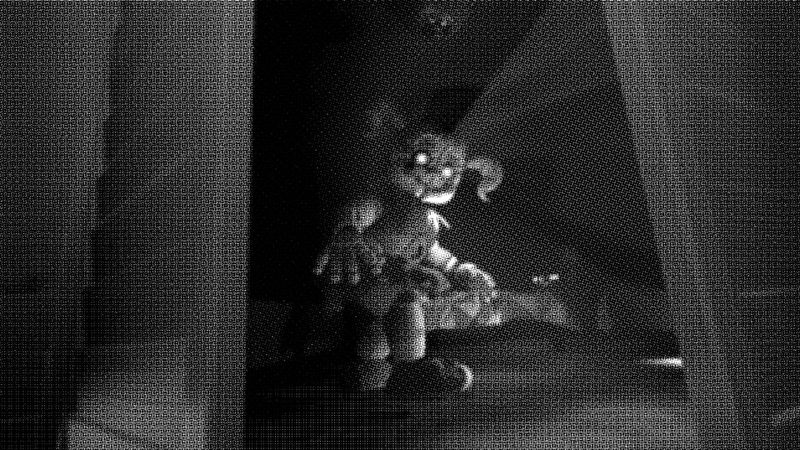 ◊ Springtrap is standing in the doorway. The third image is Chica in an unknown location. ◊ If I were to hazard a guess, it's probably the previously unseen kitchen from FNaF 1. 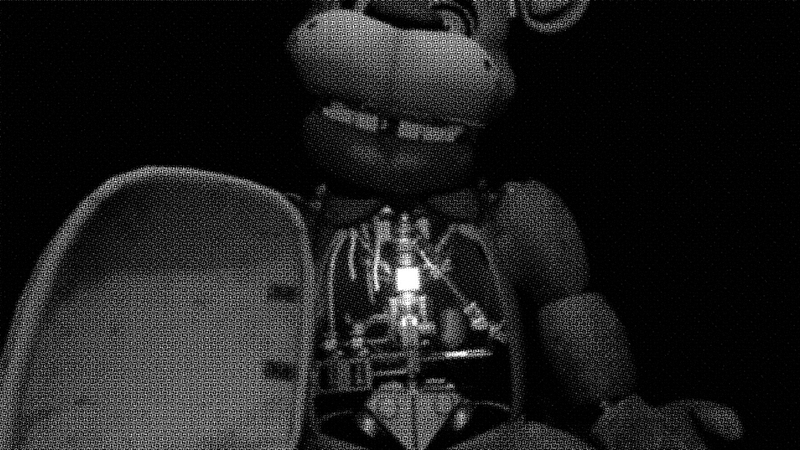 The sixth image is Freddy sitting prone with his chest open, revealing his endoskeleton. ◊ This almost certainly confirms these teasers are from the VR game, as Scott previously mentioned it would involve a segment where you had to perform maintenance on Freddy. The seventh and final image was even harder to find. Instead of being in the source code, people on the reddit had to find several misspellings on Scottgames (such as "Scot0t Games" in the website name) and combine the extra letters into a URL. ◊ I have no idea what this is supposed to be. Some people have suggested its Ennard, but its too blurry to really make out. So it looks like the VR game will have levels based on most of if not all of the main games, and Baby's picture along with the text suggest it will have major story reveals and implications. At this point I wonder if it should be considered a full FNaF 7 rather than just a VR spinoff. The Chica link is going to the Springtrap image. I think the Chica is in the kitchen too, going by those racks on the right. u/LaughySapphyGem on the reddit used an algorithmic website to fill in the missing color on the Springtrap image. It looks terrifying. Like something straight out of a found footage horror film. I know the VHS effect is almost certainly just for the teasers like the black and white is, but I hope its in game as an option at least because it really adds to the atmosphere, at least in this case. Can I see the original teaser image that was taken down? It's presumably still relevant to the game. You know, that was not what I was expecting from the words "fused together". I was expecting like, all of their upper bodies coming out of a single pair of hips, or something. Scott made another post with more details about the VR game and apologizing again for the fan art situation. -The removed teaser was actually a portion of the game's box art, and its being completely re-done. -The game is being developed by Steel Wool Studios. -The plush Baby dolls (their official name is "PlushBaby's") in that one image are alive and "monstrous." Scott considers them the "best original addition to any game ever." 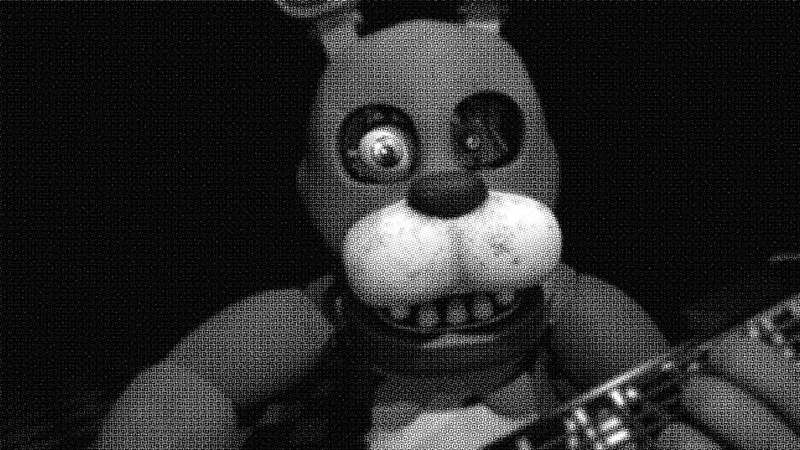 -The repair section has you do maintenance not just on Freddy, but Bonnie, Chica and Foxy too. "You are instructed to reach inside of their chest cavities, or pull their faces off, or pull their eyeballs out(! ), it’s really unnerving." -Another level is a remake of the part in Sister Location where you have to sneak through Funtime Auditorium while avoiding Funtime Foxy. Scott finds this section so terrifying, he tried it once and then refused to ever play it again. His son did the same. -"Oh yeah, and when you’re hiding in the closet and Baby is lurking outside the door, that’s really scary." "Fredbear" (Scott didn't call him Nightmare Fredbear, so make of that what you will) can also appear in that level. 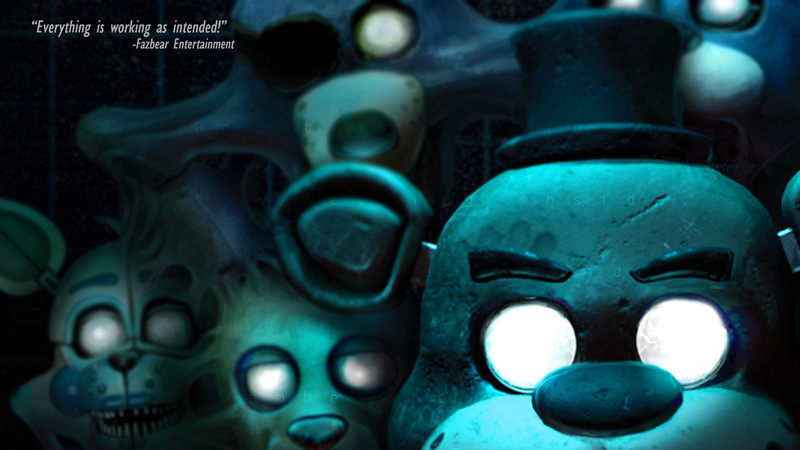 -"You should see Springtrap walk…"
New teaser on Scottgames of (presumably) the full cover art. Official trailer was shown off at the Playstation State of Play livestream. Game Theory takes a stab at guessing what Help Wanted's plot could be while wearing Freddy jammies. It was released a couple days before the trailer linked so it's not included.